I'm definitely a newbie in tarot business and by no means claim to be an expert, but I thought I could share some thoughts from the beginning of this journey and maybe update later on, how the feelings change throughout time when I gain more experience as a pro. I've read for myself since early 2011, and I ventured to read for others on an online forum for free some six months ago. I got hooked immediately: there's something incredibly empowering (for both the reader and the sitter) and profound in being able to deliver useful, meaningful and pertinent messages to complete strangers, whose life is otherwise unknown to me. The mystery of how the cards can make sense is both baffling and satisfying each time a reading hits the nail on the head. I turned "pro" (i.e. felt competent enough to start charging for my readings) just before Christmas 2015 so I've hit the landmark of first two months as a professional tarot reader pretty much about now. Some might say I'm not a pro yet, because tarot is not my main source of income, it merely supplements my finances. Even though I'd like to earn more as a pro - to be able to do more in the realm of tarot and dedicate a bigger chunk of my life to it-, right now money is not the main driver. Being a reader - the map reader of the soul -, is more about me living my calling than becoming rich. Where do I work? I work from home, during the week before and after my office job; and also during weekends. I spend on average one hour per day in doing readings, and some 3-4 hours/wk on top of that for writing this blog to talk about tarot. I work online for a company called Phutureme, where I had to pass a tarot interview (do successful readings for free) to be able to be added as a reader. I also work through this website and do face to face readings and tarot tutoring in my home office (our guest room turned into a tarot parlour). How to get started? In my opinion, the most surefire way to earn as a reader is to get listed by a bigger (online) company. I've never worked for a phone line, because I prefer written readings or face to face discussions. I also like it that online readings have a flexible timeframe and I don't have to pick up immediately if I don't have time, nor do I have to be "on call". I'm considering adding Skype as an option to offer readings, though, because it could allow long-distance readings in a face-to-face-format. Having one's own website is the equal or the second best option IMO. Long term, all of us probably want to be our own bosses, but at the beginning, it's easier to be found through a big company than being buried under millions of other tarot websites in Google. I also tried to offer doing readings in a number of local mystic shops, but nobody was interested. In other cities and countries this can work better, but in Perth, there doesn't seem to be enough demand for this type of "esoteric" service, as there are not that many shops - or I just didn't find the right ones. How much do I earn? Like I said, this is not my main driver as I also have a full-time bill-paying job, but in the name of full transparency, I think it's useful to discuss this to inform the fellow tarot enthusiasts who contemplate setting up their own business. My tarot-related income fluctuates between $100-200/week, so it's a decent extra sum on top of my other earnings, but it would not keep me going by itself: my home city, Perth, is one of the most expensive in the world, unfortunately. My goal is to be able to earn at least half of my income via tarot/intuition in the next three years. Naturally earnings depend on what you charge. I charge to cover the time, skills and effort I'm putting into readings, but not too much to avoid making it inaccessible - tarot for me is all about helping others, after all. How does it feel to have a tarot business? Firstly, you need resilience and confidence. A lot has been written about how not everyone will embrace your choice of business, for example by the Tarot Lady. Not all the people in my life know about my business and at first I felt that I'm not being honest if I don't tell to all of my family, friends, colleagues etc. immediately - but once I started telling to some of them and I got responses ranging from mild interest to indifference, I realised that my life and my decisions are much less interesting to other people than I thought. Every one of us is mostly concerned with our own lives and decisions, after all! My services are also targeted to people who are not in my immediate social circles (it's easier to read to strangers than friends and family, IMO), so I realised that what's the point of making a big announcement or fuss about this when people will gradually learn anyway. How does it feel to deliver a reading? This depends whether the reading is done online or face to face. Both have their own benefits and downfalls. An online reading is smooth but unemotional in the sense that you see the cards (either pick them yourself or view the spread picked by the client) and type what the message is; and then send. 90% of the people don't give any feedback or get back with questions, but some ask clarifications or follow up. Before I started, I was a bit nervous that what if people keep asking tons of follow up questions and I end up charging for half of the time that's actually spent on a reading. Either it's due to my style - clear and to the point - or people don't feel like "wasting time forever", but most people are happy with one clarifying comment/message. However, this lack of feedback often leaves me wondering that whether or not the reading was spot on or useful. The website calculates what percentage of clients become frequents and my average is the same than the website's in general (approximately every fifth client) so I take that to mean at least some people are happy enough to keep coming back. In online readings, the exchange is somewhat more "clinical" than face to face, because the topic and the question are not really discussed: it's usually a short, sharp question and bam, the answer. A face to face reading is at the same time more enjoyable and draining than an online reading. I love the connection that builds up with the cards and with the client. However, face to face readings usually take double or triple the time than online readings and staying focused, tuned in, connected with the client and talking for an hour and a half is draining, even if it's gratifying. Face to face readings also come with an element of experiencing emotions, which can be difficult, especially at the beginning. During the first time(s), the reader will be nervous, whereas the client is anxious to get answers. Clients can go through deep feelings during the reading (I myself burst into tears when I had a clairvoyant reading done for myself), because the topics that are discussed are often sensitive, possibly painful and very pertinent - the shock of hearing someone describing your life to a T might in itself be an emotional experience. The ability to deliver negative news in an emphatic manner is probably one, if not the most important skill a reader can develop and have. In my experience, people seek for a reading when they are in some sort of a distressing spot in life. When everything's going well, there's no need for clarity and guidance. Also, buried or neglected matters often come up in a reading without the sitter having planned to discuss them, so the ability to be flexible and guide the reading and discussion in a supportive, encouraging manner is the key skill for a reader, I think. I have not yet encountered a difficult client either online or face to face, but I have encountered pestering, dismissive or disrespectful sitters in the free readings online forum I used to practice at. People might ask questions you don't feel comfortable answering (such as: how could I hurt my ex because s/he hurt me), they might not accept the message you've given and behave in an aggressive manner towards you; or they might beg for more cards/readings than you have promised to deliver. I personally don't have a problem with saying no, but setting healthy boundaries is definitely among the key business skills of a reader. 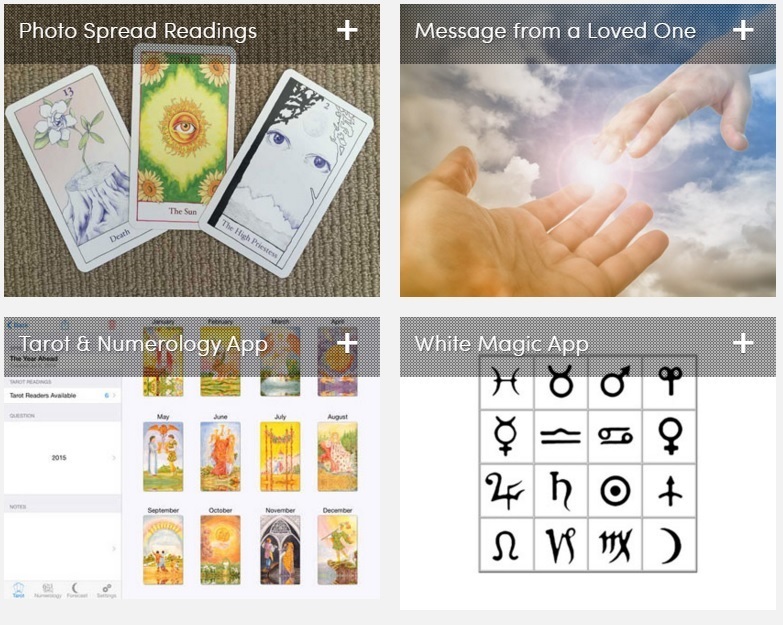 Phutureme offers free tarot spreads, numerology calculators and other forecasting tools; paid interpretation available but it's not a requirement for using the spreads.